Keyhole saws are used to make narrow curves or to enlarge holes or give them the wished form which are made with a drill bit. Be carefully in using: As the blade is thin and narrow they are in danger of bending when used unproperly. 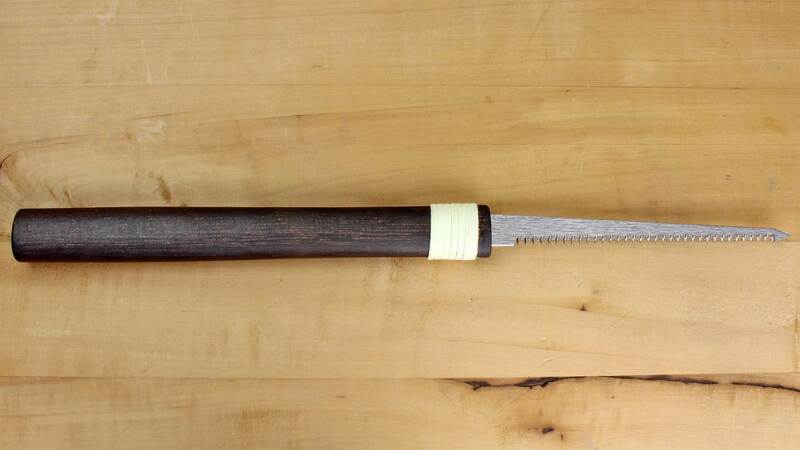 Japanese Keyhole Saw (Mawashibiki) Rugged design, leaves a relatively rough finish. These saws feature replaceable blades and are a genuine alternative to traditional keyhole saws. 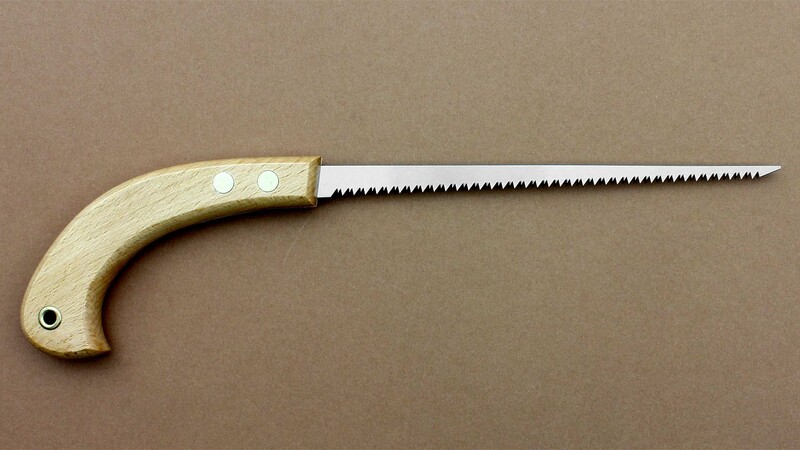 Because of the saw’s slender blade, anyone working with this type of saw will have encountered the occasional mishap, such as the blade breaking or bending. Replacement blades are affordable and quickly substituted. You won’t even need a screwdriver, a small coin will do. So it’s best to order a few extra blades while you’re about it! All blades are 0.9 mm thick, leave a 1.3 mm wide cut and have a tooth pitch of 1.6 mm. 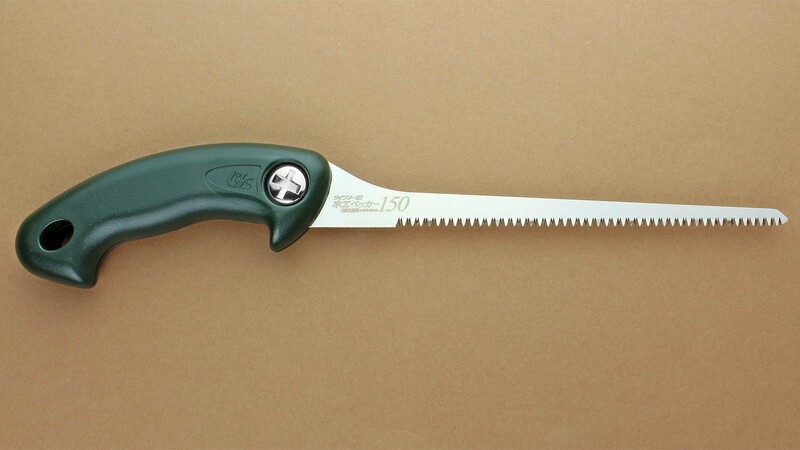 The saw is supplied with a tough plastic sheath for storing the saw blade. This small traditional Mawashibiki, also called a keyhole saw, is used for sawing curves in wood!